Discover The Secrets To Growing Your Own 6-Figure Business Online! Are you struggling to get enough customers, clients, recruits to make your business/your art/your music/your ministry profitable? Are you frustrated because you are pushing and pushing and the business is still not working for you? Your brain feels a lot like mush and you cannot seem to get the traction you need to get the business working. Well, you are going to love what I have for you! Imagine having access to a vault of business training programs that show you step-by-step plan what exactly to do to grow your business, rather than spending most of your time wondering what the best action is to take? Imagine being part of a private group of leaders just like you who are open and ready to help you out whenever you need support? Imagine being able to ask a question and get a specific answer to your own circumstances so you can run with the solution instead of spending ages trying to figure it out and then running out of time to implement the solution. Imagine receiving a daily motivational message that gets you into action each and every day! Imagine once a month jumping onto the phone for some live training and also an opportunity to get your questions and challenges handled. Imagine taking what you know and turning it easily into wealth, becoming the leader you know you are born to be, getting over all limiting beliefs and stepping daily into massive action and productivity! How much better would life be then? How much faster do you think your business would grow if you had this support in place? And that is what the Deliberate Millionaire Fast track program is about. Regular challenges to get you into action growing your business, defeating your obstacles and roadblocks, creating wealth! All this to get you into MASSIVE action attracting the customers, clients, recruits into your business so that you can build a life you absolutely adore because you have the money coming in to support it. Listen, I too struggled and struggled to get things off the ground and nothing ever seemed to work! I mean, I was fairly competent, I was a pharmacist and had done stuff others would consider successful before, so why was this proving so hard? Why could I not get any of my many business ideas to work? And so, that got in the way of me doing much in the limited time I had. My lack of self-confidence at that time, meant that even what I did know to do, I did not do it. It took going bankrupt due to my passivity and having 3 lovely princesses for me to finally realise that if anything was going to change, I was the one that would have to change it. At this point, I knew that I did not want to go back to working 60-80 hours a week to keep money coming in and I wanted to see my girls grow up. And that was the impetus I needed to get support, accountability in the form of a coach and mastermind group – I was no longer going it alone. Within 18 months of that decision and over £20,000 spent on coaching and mentoring, I learnt to promote myself, my business and start impacting people. I replaced my full time pharmacist salary and I also won a wonderful Porsche Boxster for being business woman of the year. I was able to leave work and carry on building a business that more closely aligns with my values. And you can do this too…For a fraction of what I paid to coaches and mentors! Distilling all I know into manageable small chunks that an action taker could take and run with. Providing it at a very accessible price so that whatever the currency exchange rate was, it was a possibility for most. Providing coaching and accountability in the form of daily check ins and monthly live calls. Providing a safe space to connect with other entrepreneur leaders to encourage each other and brainstorm together. And that is exactly what The Deliberate Millionaire Fast Track Program Does. 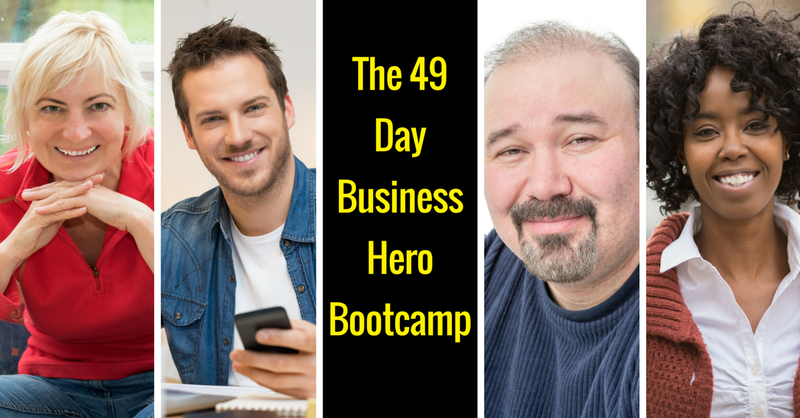 The Business Hero Bootcamp Would you like to know, to ABSOLUTELY know exactly what you need to do each day to get your business or idea creating wealth for you in a way that suits you? Would you like a step-by-step plan that takes you from business zero to business hero in a matter of 49 days? People Please No More - How to Stop Being a People Pleaser & Start Making Money Doing What You Want to do in Your Own Business You could wake up each day, knowing that you are only going to do things that make YOU happy, content and fulfilled. You could go to bed feeling at peace with the world, knowing that you, being you, is more than enough. And yet, this is not the life you are living at the moment, is it? Find out more here about how to no longer care about the opinions of others. 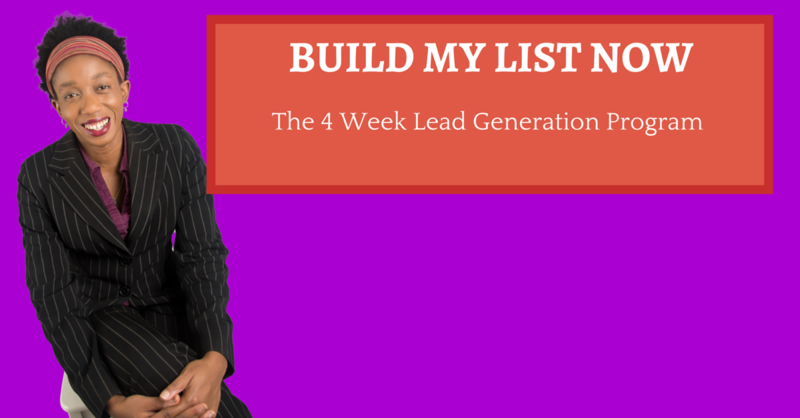 Build My List Now Did you know that unless you have a mailing list, then you are leaving money on the table? This is where most of your profits are going to come from, as you stay in touch with people who are interested in hearing from you. Find out more here about how to build that list. Overcome Procrastination - The Warrior Way Where could you be now if you had started building your business without delay, without doubt, without procrastination? Find out more here how to overcome procrastination. Email Marketing the Warrior Way So, you are building a list, would you like to create email campaigns that increase your wealth day in, day out, whether you are asleep or awake because it is all automated to sell on your behalf? Let's Dig Deep Into Facebook Are you struggling to get people to pay you any attention on Facebook? Are you frustrated because there is a great number of people selling exactly what you are and you wonder how to stand out and get more customers into your business? Everyone seems to be using it and logically, it seems to be the best place to connect with your audience, after all, there are over a billion people on the platform so surely, you can find a few customers, right? In this training, I am going to start from scratch and show you exactly how to use Facebook even if you have never been comfortable with it before. Master Your Money - A Foolproof Way to Put Cold Hard Cash Into Your Bank Account What if I told you that you could live life however you want to, doing whatever you like? Would you believe me? And if you did not believe me, what would you think the obstacle was? Would you think of money? Would you think of all the money you do not quite have, that gets in the way of you doing the stuff you would really like to do? Or maybe you would think of how you do not want to lose the money you have worked so hard for, to go after what feels like a pipe dream? Find Out More About Master Your Money – The Foolproof way to put cold hard cash into your bank account, grow your business and create wealth that lasts even if you never EVER seem to have enough at the moment! Wake Up To Your Purpose - Create Wealth Doing Exactly What You Love Do You Feel Like You Have No Idea Of What You Want To Do Or Become? Are you frustrated because you just do not know what you should be doing with your life? You know there is more but when it comes to figuring out the nitty-gritty-detail, you just cannot settle on anything that will make you feel complete and whole. Turn What You Know Into Wealth - Online Wealth Creation in 90 Mins A Day Discover How To Take What You Know – Your Skills, Experience, Story – And Create A Profitable Online Business In Just 90 Minutes A Day! And now, you wonder if what you know is of value to anyone else. Actually, no, scratch that! You KNOW THAT what you have is of value to people, what you don’t know is whether they are willing to pay you to learn it, to listen in, to be inspired, to have their lives changed. Goal Mastery - How to Deliberately Turn Your Big Dreams Into Reality Faster Than Ever Before How would it feel to set big goals that you actually go on to achieve? What if you became someone with the midas touch? Not that everything turned to gold but you became someone who made things happen! People looked at you and wondered how you managed to do so much, how you were so productive and how they could be the same. How different would life be? No more would you start the year with lots of resolutions and hopes and get to the end of the year with nothing to show for it. No, you would decide what you wanted and you would make it happen. 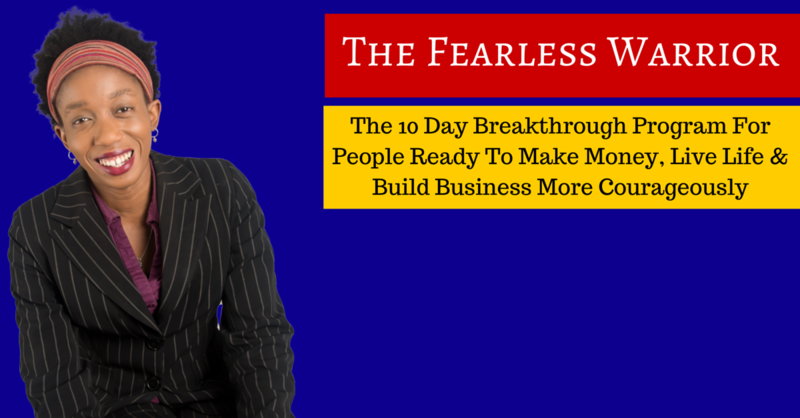 The Fearless Warrior - A Ten Day Breakthrough Program for People Ready to Make Money, Live Life & Build Business More Courageously What would you do if you were not afraid? Maybe you would be in a relationship that built you up and made you feel even more empowered than you are already – You would speak your mind with no fears about whether your partner would be able to take it or not and you would only allow yourself to be treated in a respectful way. Maybe, you would have an intimate relationship with your Creator without thinking He/She had anything against you. Are you ready to live a more fearless life? Eagle Vision - 4 Weeks to Set Your Target for Wealth So, tell me, have you struggled so far to get the traction your business needs to take off? Are you frustrated with your lack of focus and also a lack of buying customers, clients, recruits in your business? Revolution - 21 day online bootcamp for leaders who want to build an audience, generate leads, impact people and make money CALLING ALL LEADERS! Here’s How To Use YOUR Words To Make Money & Make A Difference! Be part of the daily check in – What is the plan for each day? And as long as you take part, you can be sure that I will hold you accountable and support you in figuring out what the next step is. One monthly live call where you will speak with me live and get coaching on any challenges getting in your way. A regular challenge/bootcamp which the whole group participates in, building community and business quickly. And guess what? all of this is delivered to you for a grand total of $47 monthly. As I said I want to make it accessible to an international audience and so … I have! And if you are a entrepreneur (current or about to be) that wants to make a difference whilst making a fortune. Come inside, experience the power of what I have developed and what I continue to update for you and see how easy it becomes to grow your business if you just follow the plan, day by day. No more over thinking, No more procrastinating, trying to work out what is best to do next, you just get on with it and get the work done and your business making money. So, if you are that entrepreneur ready to start creating financial and time freedom as well as impacting the world with your product, service or business opportunity then click the button below to join in at $47 a month. And if you want a more personalised version of the Deliberate Millionaire, then join DM Gold and you get all the benefits mentioned above as well as 2 extra live calls with me each month where you can ask me your questions live on the phone/skype and get specific strategies for your business. For accelerated results, I strongly suggest that you upgrade and get some of the benefits of one on one coaching/mentoring. Listen… Your Business Needs Leads! You can have the best product, book, music, whatever in the world but unless you have enough people paying attention to it and TO YOU, you will hit difficulties in making your business work. And.on top of that, unless you are consistently taking action, our business WILL NOT WORK! This is where the Deliberate Millionaire Fast Track Group comes in handy for you, if you are truly determined to make your business work! For me and many of the members of the DM group, being part of a mentoring group has made a HUGE difference! It’s the difference between living a life of legacy, purpose & fulfillment and living one that makes no impact and changes no one’s life at all. Because, honey, there is a lot more to you than has shown up to date, isn’t there? You know you are created to be successful at something you actually enjoy doing? So, why not give yourself a chance to make it happen? Then come join us in the Deliberate Millionaire Fast Track Group by clicking the button below and take advantage of the discounted entrance fee from $99 to $37 NOW.